Harding Construction was contracted to complete the Main Processing Room extension for Sanford, Timaru using a steel structure from Coresteel South Canterbury. Quality and timing were paramount with this project as it had to meet a stringent food-grade finish in time for the Toothfish harvest. No delays or concessions could be tolerated. Extending the MP Room at the Timaru factory in time for the toothfish harvest was critical for Sanford Ltd to meet their 2018 production demands. Delays confirming final architectural designs meant that the actual build-time available was very tight. The date for the first delivery of fish could not be altered. It was up to Harding Construction to find a way to meet the schedule. Careful production planning and project management were key to the success of this project. Key suppliers and contractors committed themselves to meeting the deadlines to make the tight time frames achievable. All materials were pre-ordered to size, ensuring immediate installation was possible without remeasure once delivered to site. This required stringent planning from the Harding Construction project management team. The hand-picked site team was well aware of the time constraints and need for a food-grade finish. Commitment to ‘doing it once and doing it right’ meant tasks were completed to a high standard without the need for re-work or delay. A dedicated project manager working behind the scenes made critical programme and material supply decisions to ensure the smooth running of the project. Timely, informative communication was essential. “Everyone needed to know exactly what was going on at all times,” says Harding. Daily site meetings were held with the build team and the client’s representatives. Detailed written communication and photo records were maintained, along with stringent Quality Assurance checks throughout the process. All phone calls and conversations were followed up with emails. Harding Construction’s commitment to ensuring the plans and specifications were followed exactly meant that all building inspections were completed without the need for any re-work. “It is because of our effective in-house QA management system that we can achieve this kind of accuracy,” says Harding. All tasks were carefully thought out before work began. Time and cost-saving initiatives were implemented wherever possible with the aim of achieving maximum efficiency and ensuring a top quality result. The building was successfully completed well before the first toothfish deliveries, enabling early commissioning of the building. The Sanford team was able to install the factory plant in the building and complete all testing well in advance. "We're working some pretty dark hours, but the results are worth it." says Lee Eastmead, foreman on the latest large commercial project for Harding Construction. 5am starts have been the norm for the Harding Construction team. "By pouring concrete so early in the morning we gain as much drying time as possible throughout the day," explains Simon Harding, Managing Director for the company. Cold winter temperatures can mean concrete takes up to 24 hours to dry, so we have to maximise the time available." Concrete and assorted general works will continue for several weeks before the next main stage of the project will begin. "Things are going really well," says Harding, "We're all enjoying being part of a large and interesting development." Harding Construction was pleased to work on the new UHT building at Oceania Dairies Glenavy site. 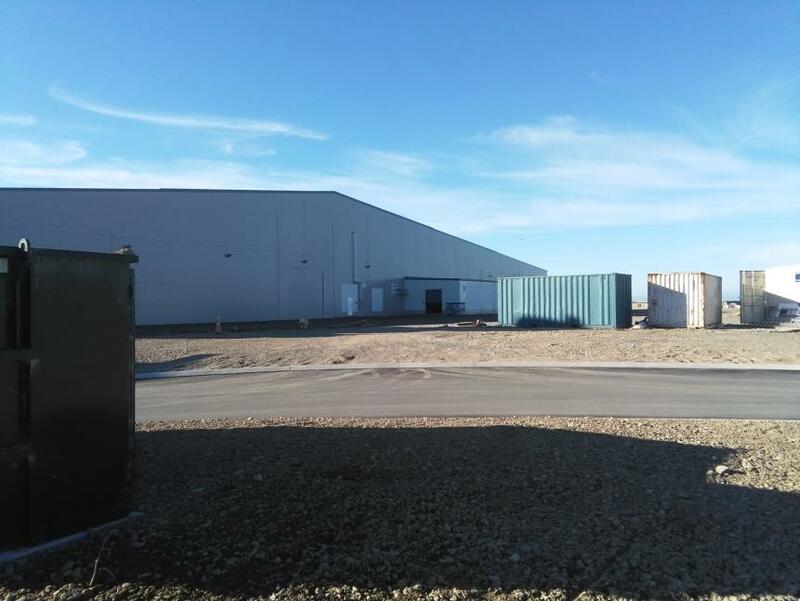 Working under Ebert Construction, Harding Construction was responsible for formwork, carpentry and fit out of the new facility and assisted with precast panel erection. "We're proud of the high quality work produced by our team on this project" said Simon Harding, Managing Director of Harding Construction. "We were often faced with cold, unpleasant winter conditions, but our guys' commitment to excellence never wavered. It's another job well done."